Tabletop rig is recommended for measuring smaller specimens. 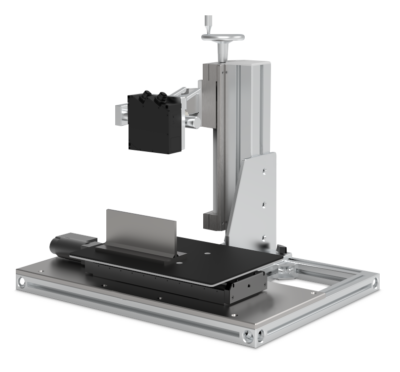 The laser is mounted in a tabletop rig and the object being measured is moved using a linear actuator. This setup is recommended for measuring minor specimens. The choice of appropriate laser scanner is highly dependent on the application and the size of the features to be quality assured. The appropriate laser is selected depending on your specific needs. We supply a complete solution for quality assessment of manufacturing processes such as welding, cutting and bending. A laser profile scanner is used to acquire measurement data which is then analyzed and presented to the operator, production engineer or management.